Marines who have been stationed in Japan will have the opportunity to reunite at an upcoming event hosted at Marine Corps Base Quantico. The event, hosted by the Defense Attaché office of the Embassy of Japan in the United States, will be held Friday, Sept. 9 from 6 to 8 p.m. at the MCB Quantico Officer’s Club, and will welcome guests with a reception, traditional Okinawan dance, and buffet-style dinner. Distinguished guests will share memories from their time serving in Japan, and the Japan-US Military Program (JUMP) also will give a brief presentation, informing all in attendance how the program allows veterans to continue to stay engaged with the U.S.-Japan alliance. 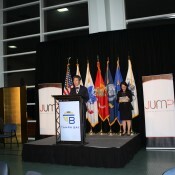 JUMP hosted a July 14 event in New Orleans at the National WWII Museum — the first ever JUMP event in The Big Easy. American service members who have served in Japan had the opportunity to continue strengthening the bond between both nations at the event. The social, emceed by Donna Fraiche, the Honorary Consul-General to Japan, was designed to celebrate America’s strong military partnership with Japan and keep service members engaged with that relationship. JUMP returned to San Diego’s Petco Park on June 14 for the second consecutive year. 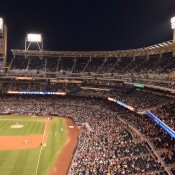 In cooperation with the Japan Society of San Diego and Tijuana, the JUMP team invaded right field for a Padres vs. Marlins game. 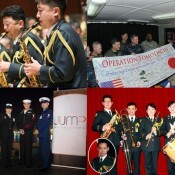 JUMP was excited to include American forces at this event as well as visiting Japanese forces from a three-ship training squadron with the Japanese Maritime Self Defense Forces who were in San Diego for a port call. On April 16, the JUMP (Japan-US Military Program) team took part in the Sakura Matsuri Japanese Street Festival in the Capitol Riverfront Neighborhood of Washington, D.C., the largest one-day celebration of Japanese culture in the U.S. Held the same day as the National Cherry Blossom Festival’s annual parade, this rain-or-shine event brings vibrant performances to four stages and welcomes more than 80 cultural groups, arts vendors, and food booths to the celebration. 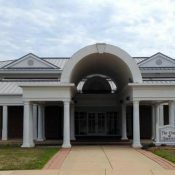 JUMP’s booth will be located in the Education section of the festival. 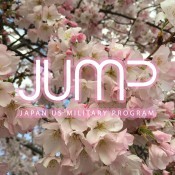 JUMP aims to connect past and present service members, families, and government civilians who have served in Japan. Through social networks and events, JUMP builds relationships and provides opportunities for service members to engage with each other. 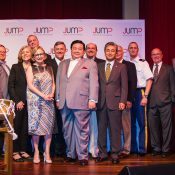 JUMP provides a powerful foundation for sustaining the solid alliance and relationship that exists between the U.S. and Japan. We had great success at the festival! 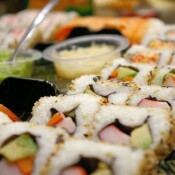 Click here to read a recap and see the photos. The Hon. Harry H. Horinouchi, Consul General of Japan, hosted a reception honoring U.S. Service Members who have been stationed in Japan — active, reserve, and veteran. The event included an evening of exquisite, freshly prepared Japanese cuisine, superb sakes and other refreshments, an entertaining cultural program, and networking and camaraderie with colleagues from both the U.S. and Japan. Those in attendance had the opportunity to share experiences of time in Japan while being thanked for contributions in support of the U.S.-Japan relationship and alliance. 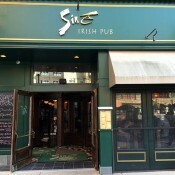 On March 24, the JUMP team hosted a networking social at Sine’ Irish Pub on Pentagon Row in Arlington, Virginia. It was an informal night of fun networking and socializing with others who have served in Japan! 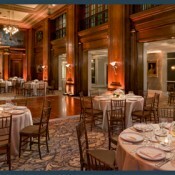 On March 3, 2016 JUMP (the Japan-U.S. Military Program) in collaboration with Sasakawa USA hosted its first annual JUMP dinner at The Army and Navy Club on Farragut Square. The theme for the dinner was the future of the U.S.-Japan Alliance, featuring speakers General Robert Neller, Commandant of the Marine Corps, and Admiral Dennis Blair, former Director of National Intelligence and Commander of Pacific Command. The Defense Attaché office at the Embassy of Japan is pleased to present a Japan & U.S. military Band Joint Appreciation Mini Concert for Operation TOMODACHI in commemoration of the Fifth Anniversary of the 3.11 Great East Japan Earthquake, and the First Anniversary of the Japan U.S. Military Program (JUMP). Seven musicians from the Japan Ground Self Defense Force Central Band and six musicians from the 257th Army Band, Washington, D.C. Army National Guard performed together in appreciation of all those who supported the TOMODACHI operation during the earthquake and tsunami disaster 5 years ago. This event also symbolized the close relationship between Japan and the U.S. both in the past and looking toward the future. Japanese culture and fun were shared with all at the family-friendly Japan Festival on February 26, 2016 at Ellis Hall on Marine Corps Base Quantico (map). 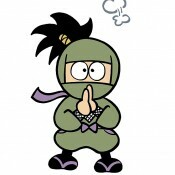 The event included a ninja skit, Okinawan classical dance demonstration, a play featuring traditional Japanese music, Japanese food, traditional games and toys for children, and more. Teams from both the JUMP Program and the Embassy of Japan also attended. On February 16, 2016, the Consul General of Japan in Miami, Mr. Ken Okaniwa, hosted a reception at Port Tampa Bay in honor of members of the U.S. Armed Forces and their spouses who have been stationed at American bases in Japan. The event included a presentation on the current state of the U.S.-Japan alliance and networking between members of the U.S. Armed Forces and the Japanese community in the Tampa Bay area.